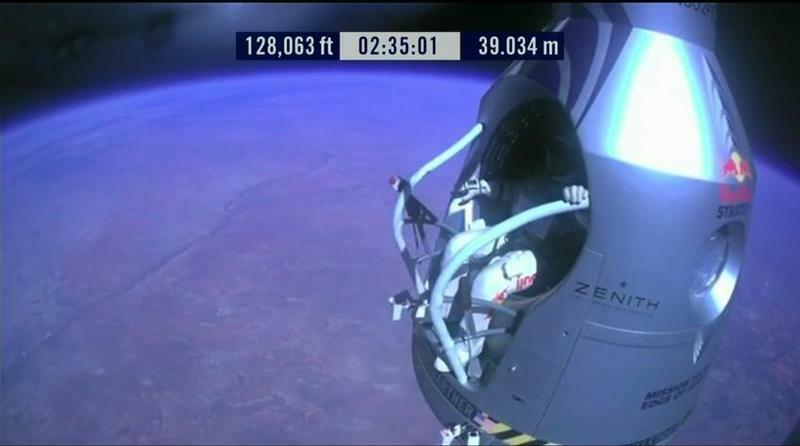 That’s Felix Baumgartner’s view from over 128,000 feet above Earth, and he’s as casual as ever. After a series of weather delays that pushed the jump back almost a week, the world’s craziest daredevil successfully did what no other human being has done before. It was a nervy few hours as the enormous helium balloon raced toward space. But after finally reaching the “float” point, almost 10,000 feet above what was originally planned, Baumgartner successfully leapt into the history books. I hope you watched it, because it was absolutely incredible. The boundaries of human accomplishment has been once again thoroughly overcome. 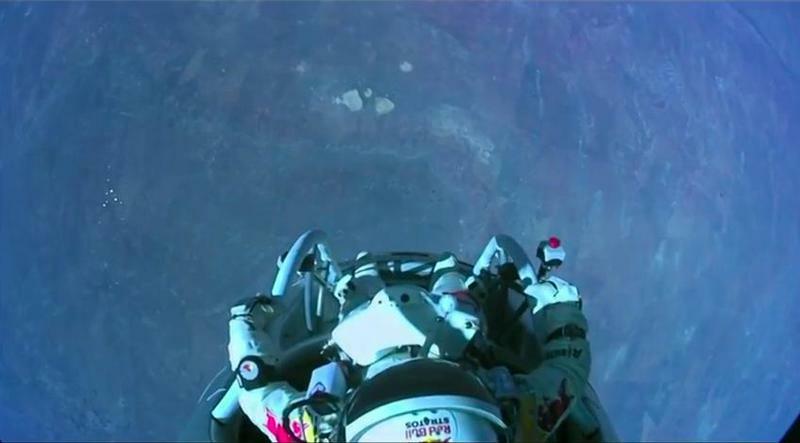 Watching him freefall was one of the more exciting things I’ve watch in quite sometime, and it didn’t involve some scripted reality TV drama, or the use of CGI. It was the culmination of science, immaculate planning, and one crazy individual. We’re still awaiting a press conference, where we’ll hopefully hear a first-hand account of what it was like to break the sound barrier without any type of propulsion mechanism. A video of the whole experience is set to hit in about a month’s time for a primetime audience, but I’m sure we’ll see and hear much more about this until then. I can’t wait to see what Baumgartner does next. The official word is that Baumgartner broke the sound barrier, making him the first person to do so without the assistance of any propulsion element. Wow, holy moly. Speaking at the post-jump press conference, Baumgartner shared his account of the jump, including the moment when he exceeded Mach 1. Quickly after leaping out of the Stratos capsule, Baumgartner immediately began to pick up speed because of how thing the atmosphere was. The announcer narrating the jump admitted Baumgartner might experience “gentle” rolling, but seeing it live looked violent, to the point where I thought something had gone terribly wrong. It was an incredibly breathtaking scene that saw Baumgartner break the highest manned balloon flight record, the highest freefall record, and the speed of sound, all in one go. “One of the most exciting moments was standing out on top of the world [at 128,000 feet], 30 seconds before stepping off,” Baumgartner said. Nearly 10 minutes later, he safely touched down in Roswell, NM, kneeled to the ground, and raised his arms in victory. Amazing. 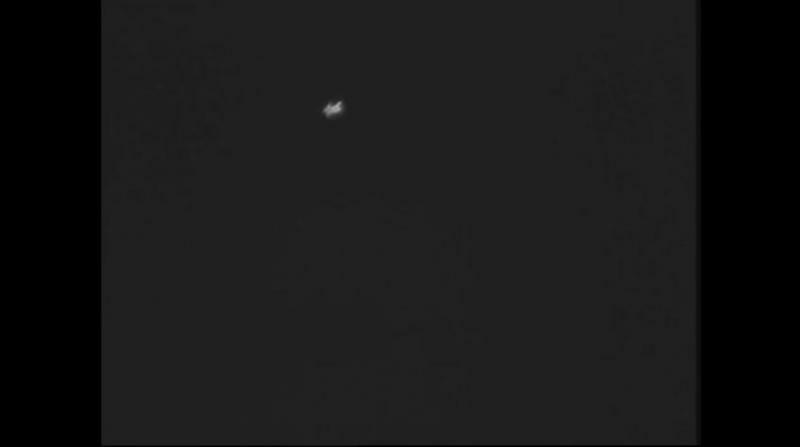 In case you missed Baumgartner’s jump, a video on YouTube (watch it, before it gets pulled), shows the most crucial 15 minutes of the entire event.